Albert Hammond is a prolific song writer who has had commercial success having written for the likes of Celine Dion, One Moment In Time for Whitney Houston, The Air That I Breathe for The Hollies and To All The Girls I’ve Loved Before for Julio Iglesias, to name just a few. 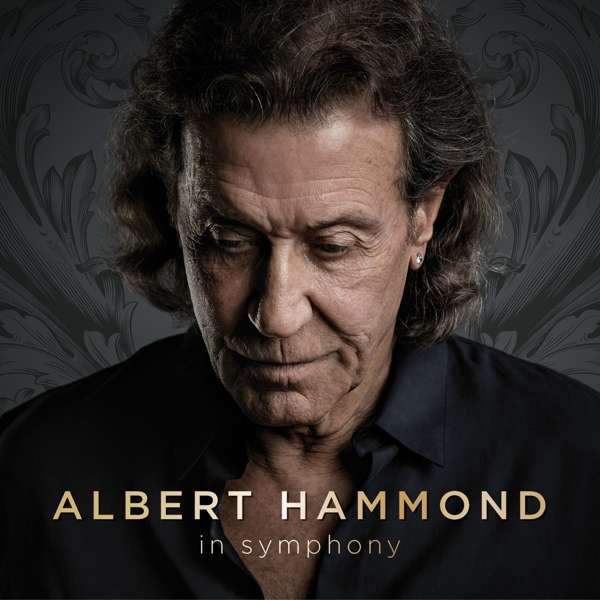 But this time he is showcasing his own album; Albert Hammond – In Symphony. In a career spanning 45 years he has released twenty one albums and this latest release will be his twenty second. The inspiration behind the album came after he had played a televised show in Berlin accompanied by an orchestra. Apparently he enjoyed the experience so much that it was at that point that he decided to record a new album of some of his hits with an orchestra, together with his own personal versions of other famous tracks that he has written or co-written. So this album takes the listener on a trip down memory lane with re-workings of Hammonds better known recordings, opener It Never Rains In Southern California swiftly followed by I’m A Train. It may be brave, stupid or both but there is a strong argument to say that both of these tracks sound far better than the original versions when you add a symphony orchestra into the mix. The standout track on the album is undoubtedly Hammond’s version of the Diana Ross classic When You Tell Me That You Love Me. You can literally hear the orchestra take the song to another level. Also on the album are many of Hammonds instantly recognisable songs such as The Air That I Breathe, When I Need You and that classic One Moment In Time which went on to became a worldwide anthem. Of course no Hammond album would ever be complete without his Free Electric Band but it has to be said that he no longer needs to rely upon it as all of the songs on the album have been given a new lease of life in the most majestic of ways. The album closer is Hammond’s gut-wrenching interpretation of The Hollies The Air That I Breathe which is one hell of a way in which to end the album. So please stand up and take a well-earned bow Mr Albert Hammond and The London Session Orchestra because this is an album which will get plenty of plays.